METHUEN — Police Chief Joseph Solomon announces the new Smart911 mobile app to provide greater access to the lifesaving benefits of Smart911, plus targeted location-based alerts to all residents. Benefits of the Smart911 app include: Residents who do not have home internet access or a computer can register from their mobile phones. Current Smart911 users can access their Safety Profile via the app and easily update their information in real-time. Residents can create a Smart911 Safety Profile via the app, which includes verified phone numbers, easily-to-update information for dispatchers, and uploaded photos. The Smart911 App automatically displays alerts from the National Weather Service on an interactive map for a more advanced warning. The app and its features are available at no cost to Methuen residents. 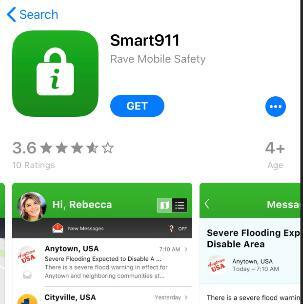 To add the app to your smartphone, search “Smart911” in your mobile app store or text “Smart911” to 67283 to receive the download link via text message.